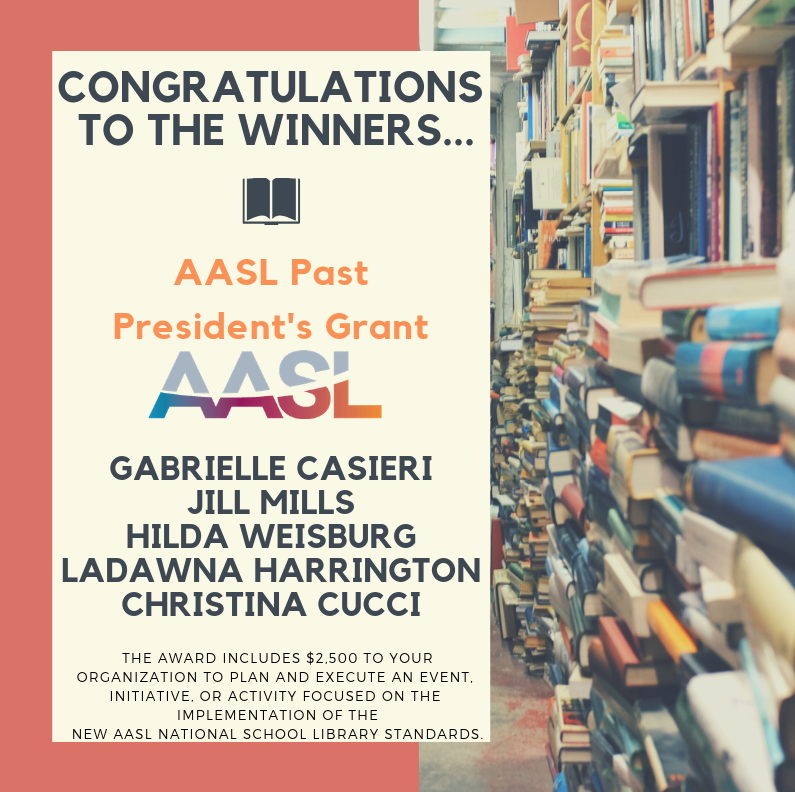 Congratulations to several NJASL Members, recently awarded the AASL Past President's Grant. From AASL: The prestigious award includes $2,500 to your organization to plan and execute an event, initiative, or activity focused on the implementation of the new AASL National School Library Standards. The award ceremony will be held on Saturday, June 22 at 5:00 pm. Stay tuned for more information about how all NJASL members can benefit from this grant.